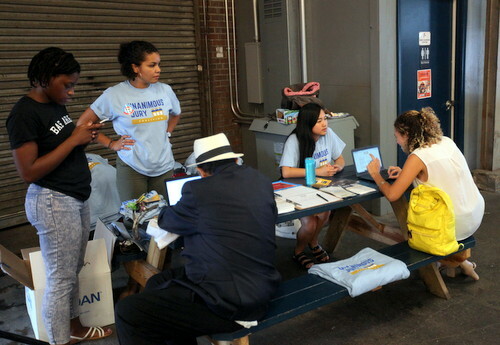 The statewide effort to create a constitutional amendment requiring a unanimous jury vote for a conviction came to Uptown New Orleans this week, registering voters and rallying supporters for the Nov. 6 ballot question. Constitutional Amendment 2 — placed on the ballot after the legislature’s passage of a bill by state Rep. J.P. Morrell, D-New Orleans — will ask voters the simple question of whether they “support an amendment to require a unanimous jury verdict in all noncapital felony cases.” The proposed change has drawn national praise, as 48 other states have long required unanimous verdicts, and bipartisan support from Republicans as an issue of constitutional rights and liberals as a civil-rights reform. 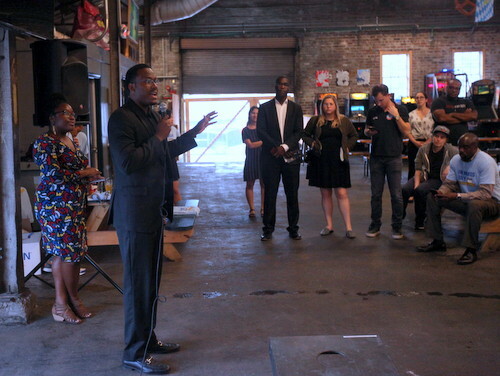 On Tuesday, the Unanimous Jury Coalition found support from local chapters of the New Leaders Council, a political-development organization for young progressives, and When We All Vote, a project spearheaded by former First Lady Michelle Obama to increase voter turnout. 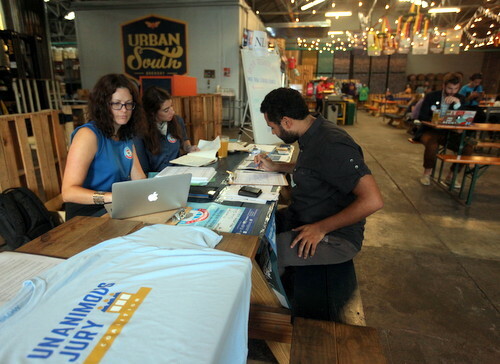 Dozens of people dropped in at Urban South Brewery in the Lower Garden District to register to vote and learn about the issues underpinning the proposed constitutional amendment. 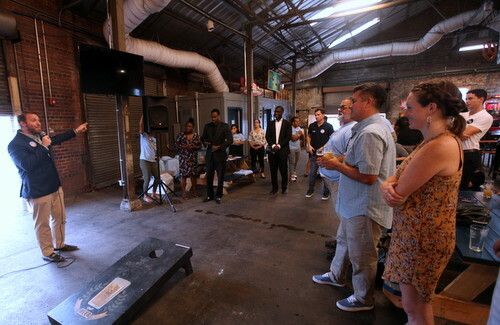 Robert McKnight, an attorney with the Orleans Parish public defender’s office, said that 40 percent of convictions in the state are based on non-unanimous jury verdicts. Even convictions leading to life in prison without parole can result from a 10-2 jury vote, he said. 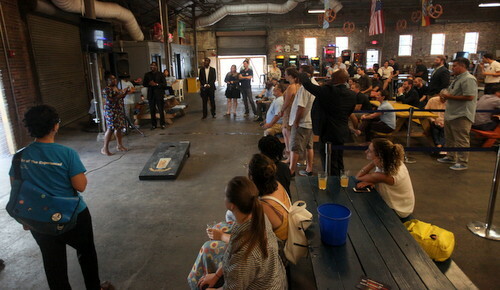 The first step in getting the constitutional amendment passed is making sure everyone possible is registered to vote, organizers said. 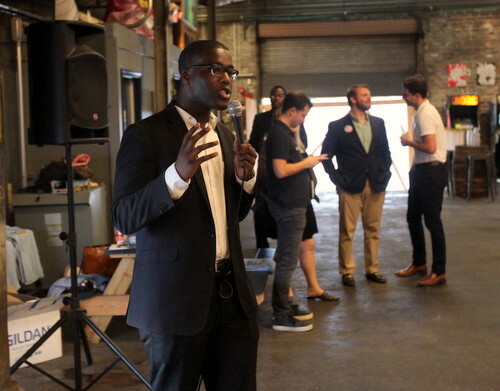 Frederick Bell, a 20-year-old Tulane student, said he first started volunteering to sign people up to vote as a teenager, before he could vote himself. He was quickly startled to discover, he said, that many of the people whose doors he knocked on were unaware of the election coming up — and they relied on him to inform them.